Important Note: If you’re flying Basic Economy on American, Delta, Alaska, or Southwest, you’re in the clear—those airlines now allow you to bring a carry-on and a personal item without an additional fee. As you can see, allowable bag size varies from airline to airline. If you’re like many travelers, who choose flights based on price rather than sticking with the same airline, make sure you pick a bag that’ll work on any airline. If you’re an airline loyalist, you can align the measurements of your bag with their specific requirements. Patagonia is one of those brands that’s just timelessly cool. It doesn’t matter if you’re outdoors-y or just looking for high-quality travel gear–Patagaonia ranks consistently high on most travelers’ lists. That’s why we knew we had to include one of their many bag options on this list. The Lightweight Travel Tote Pack is the perfect option for Basic Economy travel (or a trip to the grocery store…it’s super versatile). 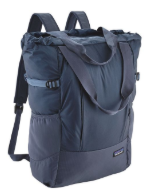 It has several pockets that’ll allow you to organize your stuff however you see fit. Read our international checklist on what to pack in your bag. This one is small enough to fit under the seat in front of you and durable enough to head straight off the plane into the mountains. It’s super lightweight and the straps are adjustable, making it easy to carry for long time periods, and it actually stuffs into itself in case that’s ever useful to you. Plus, the back is made out of lightweight foam and can act as a seat cushion should you need one during your travels. And at just $79, it truly seems almost too good to be true. When you hear LL Bean, fashion might not be the first thing that comes to mind. But the thing that this brand does really, really well is offer timeless, simple, and functional pieces at a fair price and will last a lifetime. That’s why we knew we’d be remiss if we didn’t include an LL Bean option in this round-up–and the Sportsman’s Accessory Bag is a perfect option for Basic Economy travel. 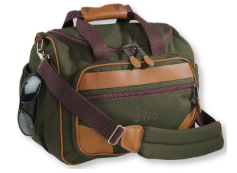 Its design is unassuming yet classic, and you can even get it monogrammed in true LL Bean style. Plus if you’re traveling with a larger piece of luggage at some point, this bag very conveniently features a back pocket that slides easily over the handle of a rolling bag. People have been using these bags for over 75 years, and they’re still selling like hot cakes. You do the math. This bag might look small, but it can carry an incredible amount of stuff. 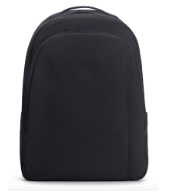 It unzips from the top and has a variety of internal compartments so you can keep your things right where they belong while you’re on the go. The bag’s material makes it super easy to clean. 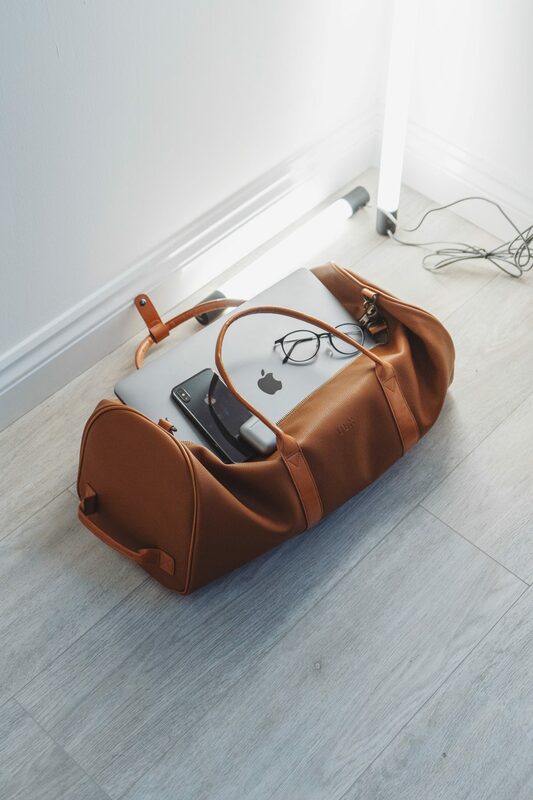 And here’s the best part: If you’re traveling somewhere you’ll need to keep your belongings safe–which could be pretty much anywhere, to be honest–this bag has two features that really separate it from the pack. The first is TurnNLock security hooks that make it difficult for anyone to open the pack while it’s on your back–but easy for you to open when you want to. The second is RFIDsafe blocking material, which will block others from being able to scan your credit cards and swipe your information. It might sound like a far-off possibility, but unfortunately, it happens. With this bag, you’ll be better safe than sorry. Right now, Away offers some of the most popular travel bags on the market—and for good reason. The brand’s bags are sleek, simple, and thoughtfully designed, making them an excellent option for any kind of travel. 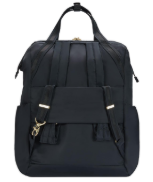 Made of nylon and leather, the Away Backpack offers three main compartments and several smaller ones that each fit different types of things that people commonly travel with–like magazines, headphones, passports, and water bottles–so you can travel easy knowing your belongings are in place. If you’re looking for something a bit slimmer, opt for their Daypack, which measures in at 11.4″ x 3.9″ x 15.7″ and is $50 cheaper. And if you’re not traveling Basic Economy, Away offers several larger options on wheels that the backpack straps right on to for ease. This bag is a bit on the pricier side, but in this case, high price definitely equals high quality. Tumi is one of the world’s best-known luggage companies, and people love them because they’re incredibly stylish, well-designed, and durable. If you’re able to splurge on one, it’ll last you forever–and you’ll likely be the envy of all of your fellow travelers. 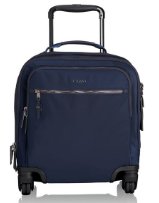 In addition to its design and look, one big reason why we love the Voyageur Osana Compact Carry-On is because it’s on wheels. With this bag, you can easily get from gate to gate without hurting your shoulders or back–a major bonus, in our book. Inside the bag, two main pockets can be used separately or zipped into one, so you can decide how to best organize your bag each time you travel. Now that you know some options you can use for your personal item on your next trip, make sure your other luggage is within airline specifications. Our blog post on TSA approved carry-on luggage will help you find out if your luggage meets requirements. Do you have a favorite when it comes to personal item luggage? Share with us on Facebook, Twitter, or tag us on Instagram (@insureyonder). Traveling can be tricky, but it’s easier when you’re prepared. If you’re headed out on a trip, consider using Yonder Travel Insurance to quote, compare, and purchase travel insurance. You’ll rest easy knowing that, with insurance, you’re safe from the unexpected difficulties that can occur while traveling.